If we want to understand what type of lesson can be learned from Hamburg’s legendary Star Club then we need to turn from Germany’s northernmost city towards the Eastern parts of Europe. These days, Central Europe is a sought-after travel destination. While it stands no chance against traditionally well-visited regions like Italy or France, it is a popular destination for a very special demographic. In fact, cities like Prague, Krakow and Budapest have seen an influx in Western foreigners lookng to stay there for the long-term that has no parallel. Who are these people ready to give everything up and move to a place that for many still bears the stigma of a post-socialist no man’s land? These people are pioneers, in a double-meaning of the term. 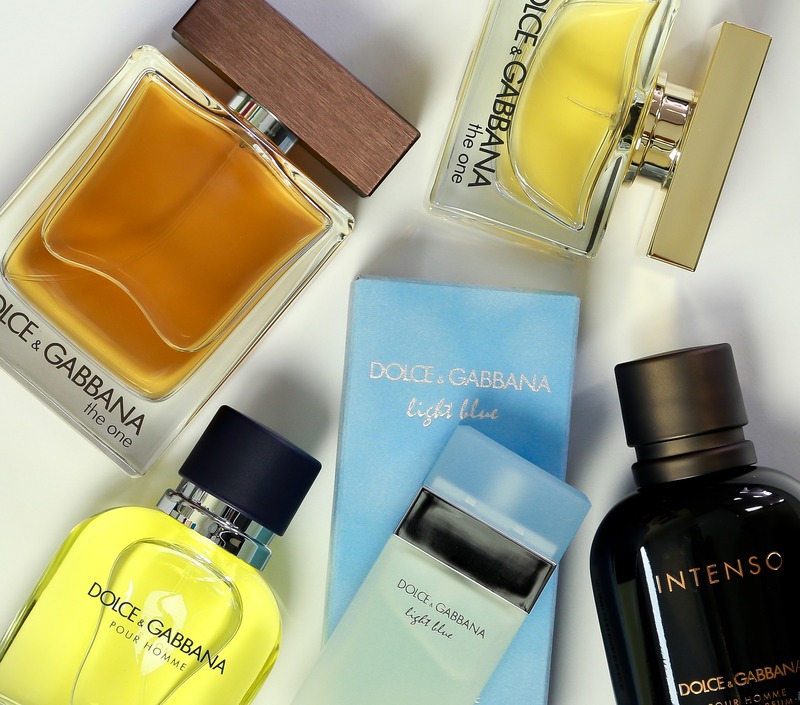 They are pioneers in the sense that they are willing to take risks, explore the ‘unknown’ and move abroad. They are also pioneers in the sense of gentrification. Once the first wave of pioneers has landed in an unknown territory they communicate their succesful landing back to their peers back home. This will then trigger the influx of a second wave of ‘immigrants’. Namely, those who are as much interested in the ‘cool’ and unknown, but who would rather die than take a simple risk: we are talking about what is commonly known as hipsters. In times when Eastern Europe was still concealed by the Iron Curtain, Western Germany acted as such a ‘cool’ and unknown territory. During the late 1950s well into the 1960s the Northern German metropolis of Hamburg saw an unparalled influx of foreign pioneers. 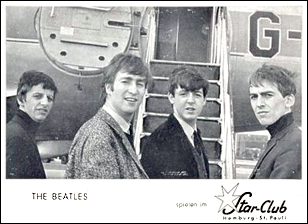 One venue where all those fearless pioneers who would congregate was the Star Club, a local venue specializing in live music that was located right in the middle of Hamburg’s notorious nightlife district Reeperbahn. 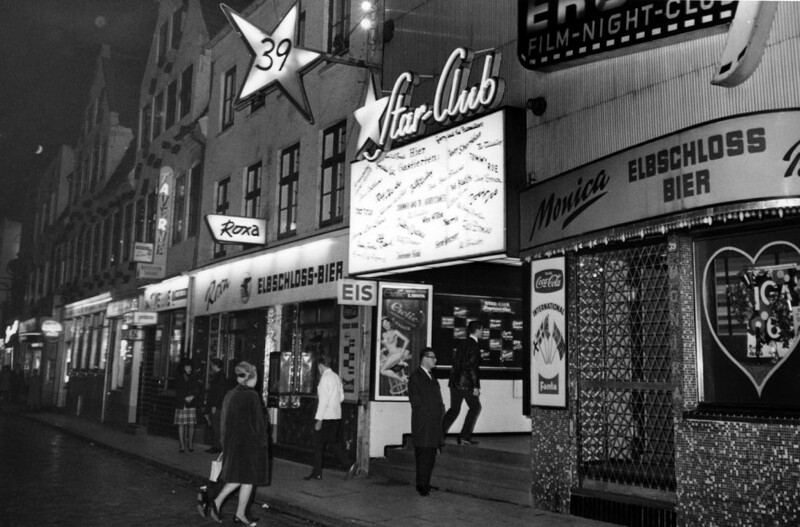 In the 7 years of its existence, Hamburg’s Star Club saw gigs by names such as Jimi Hendrix, Bill Haley, Fats Domino, Carlos Santana, Joe Cocker, AC/DC, Eric Clapton as well as by an uncountable number of other performers of the same calibre. The small venue, however, is most renowned for being the refuge and launching pad for the career of The Beatles who in the early 1960s played there in exchange for a roof above their head. “We were literally sleeping in the room next door to the stage. There was a smell of mildew and the wallpaper was coming off”, Paul McCartney is quoted, reminiscing about the band’s early days when he and the other band members were often performing not for the proverbial, but for a very literal warm meal. Did the struggle of the early days keep them from becoming one of the most successful bands in popular music? We all know it did not. And today? Pioneers are no more, espcially not in Germany. Today, post-war Germany is a full-grown part of the Western world with an exoticness-factor to Europeans stabilizing at around 0%. And going even further East, every major Central and Eastern European city is more and more drained by “artists” and “freelancers” who all celebrate their new-found freedom in the big foreign city, all the while the bank transfers from back home kep pouring in. This demographic is not looking to trade in three daily performances in front of a rowdy crowd for a vague chance of stardom, they are looking for a clean table at the local coffeeshop so they can flip open their MacBook. Explorers and risk-taker are indeed an extinct species. This is easily proven by the fact that some European cities managed to stay off the radar of the pioneers’ delayed entourage. Big-league European cities like Kiev, Minsk or Odessa are virtually free of those Westerners who have a faible for skinny jeans. Can you really proclaim the death of the pioneers from the mere absence of hipsters? Yes, you can. Easily so. Hipsters and pioneers relate to each other like cause relates to effect: No cause, meaning no pioneers, equals no effect – meaning the death of the pioneers. In conclusion, if only one skinny jeans-wearing specimen would be found wandering the streets of Kiev then this would mean he went there all by himself, without the pioneers’ previous reckon mission. And in this day and age, who really is willing to take a risk?